This is it, my friends--Christmas is this week. Can you believe it?! I am half ecstatic and half overwhelmed. 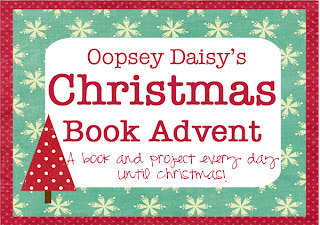 I have so enjoyed our book advent, and the extra bit of Christmas magic it adds into our days! I don't know about you, but I really enjoy a little something special mixed into the drab routines of day to day! I think Little Man does, too! 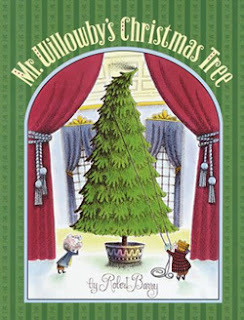 Today we read Mr. Willowby's Christmas Tree, a charming story of a tree used in lots of different ways! 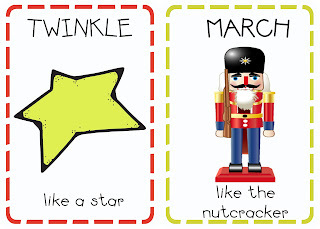 I haven't played on the computer much lately, but I've been wanting to do some kind of "action" activity with Little Man to review and celebrate all of the symbols of Christmas. You mothers of little boys know how it is... boys just want to MOVE, and they often learn best through movement. So I think these action cards will be a perfect way for him to see the pictures and act them out. 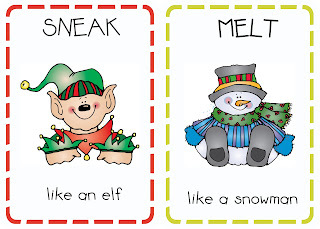 To create these fun action cards, I used fonts and clip art from DJ Inkers. Clip art designs &/or fonts copyright Dianne J Hook. Used with permission from DJ Inkers. You can download your own set of action cards here. These are too cute! I'm going to have to print them and play with my little guy. This is right up his alley! 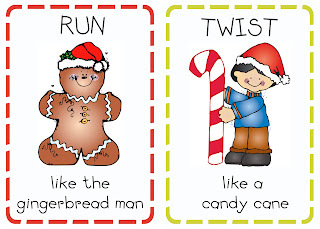 The Christmas Activity cards will not print. I cannot download them. Can I please get a file from someone who has them to share? Thank you! Thank you for these! 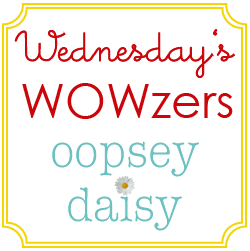 Your printables are always awesome, and I appreciate the hard work you put into them! These are fun, thank you! THese are sooooo cute. THank you so much for sharing. I can’t wait to use them with my kinders!! 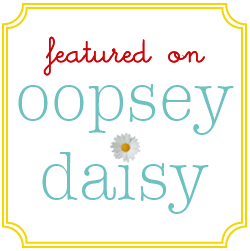 Hi Alison – these are gorgeous! what great little game! Thankyou, Im just printing them out. And also love the way you wrapped your books for advent x. This is such a clever idea! Thank you for thinking of this and sharing!!! I Found this through Pinterest. I can’t wait to get the wiggles out this winter with my little boys! 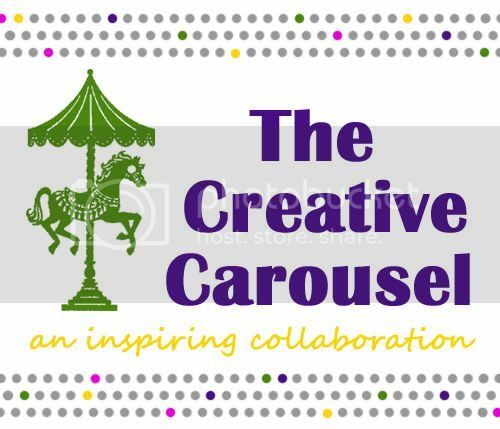 I included a link to this post on my blog for primary choristers. 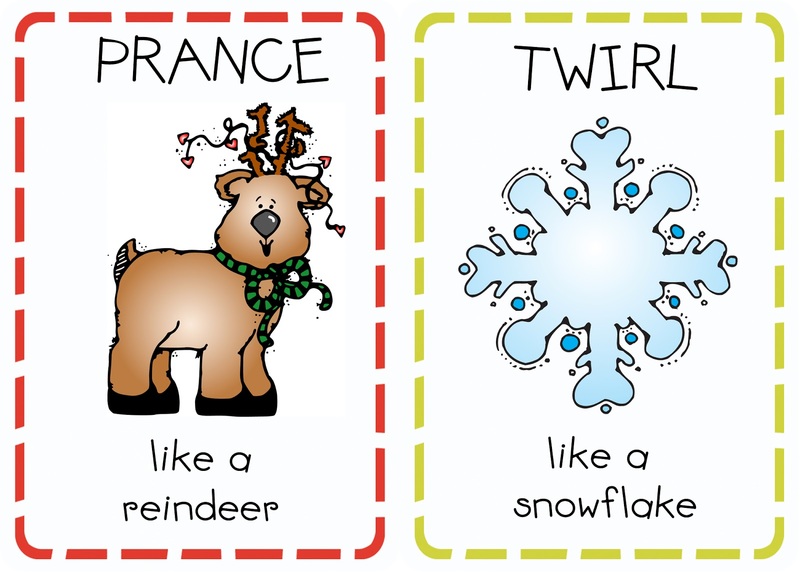 I think it would be so fun to incorporate these cards into Christmas singing time activities! I hope you don’t mind! I absolutely LOVE these cards. Thanks so muchfor the time and effort you put into making them and sharing them with us. It is greatly appreciated. I just used your action cards as a fun exercise group with my nursing home residents before lunch and they thought it was a lot of fun. We cracked up trying to adapt some of the actions to our group, who is all in wheelchairs. I’m sure we’ll be doing this again before Christmas. Thanks so much! p.s. I found this via Pinterest! 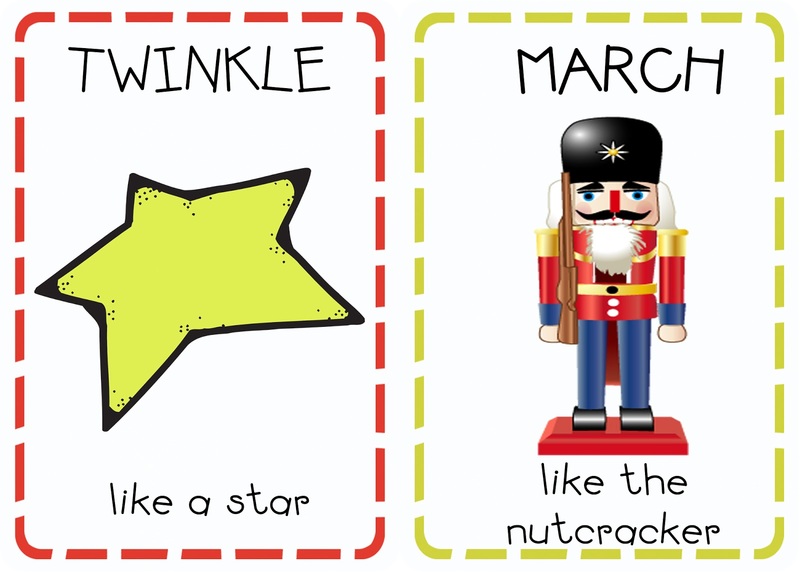 I just printed these for my daycare, thanks for sharing they are so cute. These cards have been great this week since the weather has kept us inside. Thank you so much! 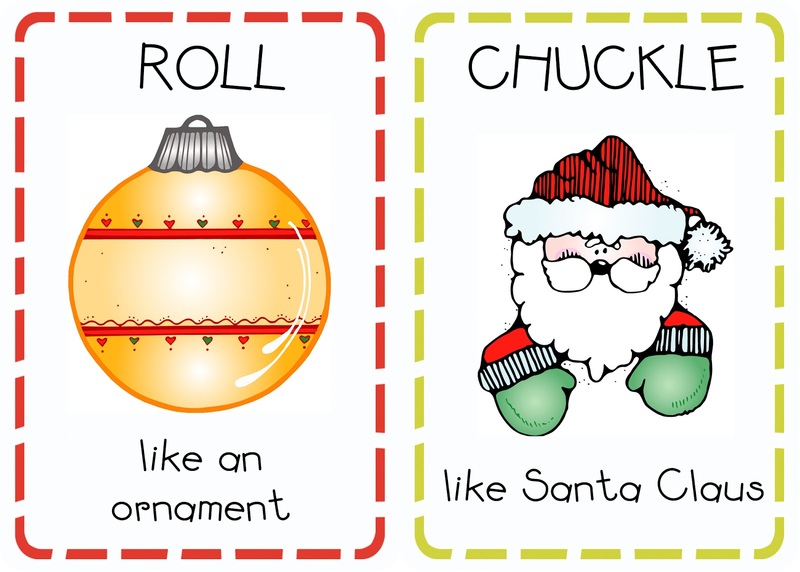 Thank you for these action cards, I found them on pinterest and have printed some off for our under 11’s church party tonight. I don’t know who’ll enjoy it more, the kids or the helpers! I’ve blogged about it and it’s due to be scheduled tomorrow giving full credit to you, thank you ever so much for posting them. Thank you thank you thank you for these cards. I found them earlier this month and they were a big hit for my Wednesday children’s church group. We were able to have some fun with the kids, let them burn off some energy and still keep in the Christmas spirit. I’m trying to find other holidays to have on hand for the kids. Thanks again! 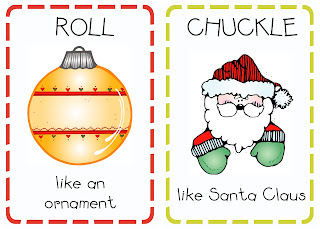 I cannot print or download the Christmas Action Cards and I love them! Can someone please send me the file? Thank you! I can’t get these Christmas Action Cards to download and print either. Would love to have them for preschool! I just subscribed to your blog. Thank you! 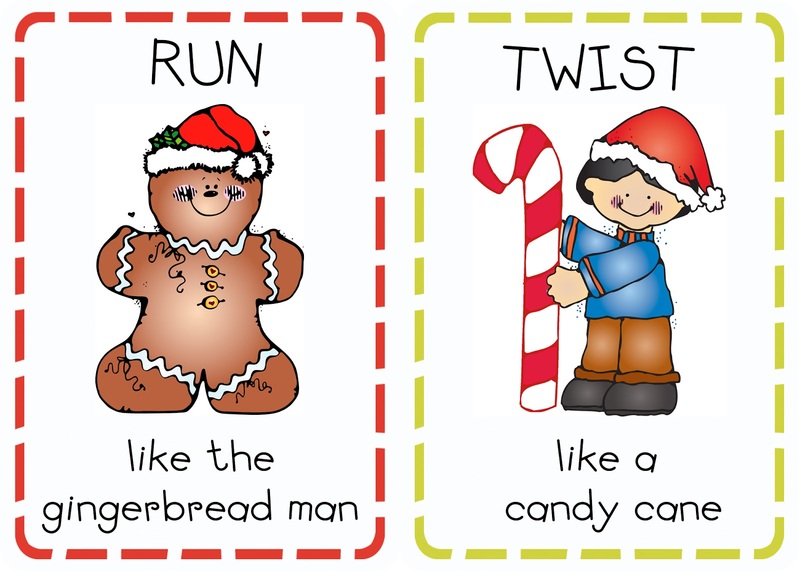 I can’t wait to get these cut out and laminated for some December holiday fun in my classroom! Thanks so much! PS I found this on Pinterest! Love these!! You made the bug ones too, right? We use those all the time!! Love these cards! 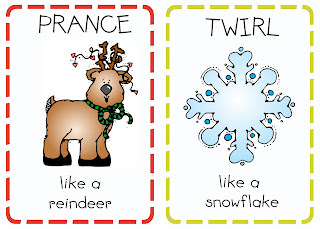 I’d like to use them in small groups for my daughter’s kindergarten class Winter Celebration. Any ideas on how to use them as part of a game? How can I print these if I’m not a member of Scribd? Hi Robin, just click on each of the pictures in the post above and you can click “Save Image as.” You can save them to your computer and print. I hope that helps! I would love to use these but, they will not download. Would you please send me a link to them? I can’t seem to access your action cards. Are you able to send me the link. I want to use them in my classroom and at home with my kids!! Any way to get the Christmas action cards again? 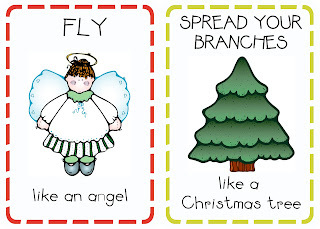 Any way you can send me the Christmas action cards? Thanks so much! 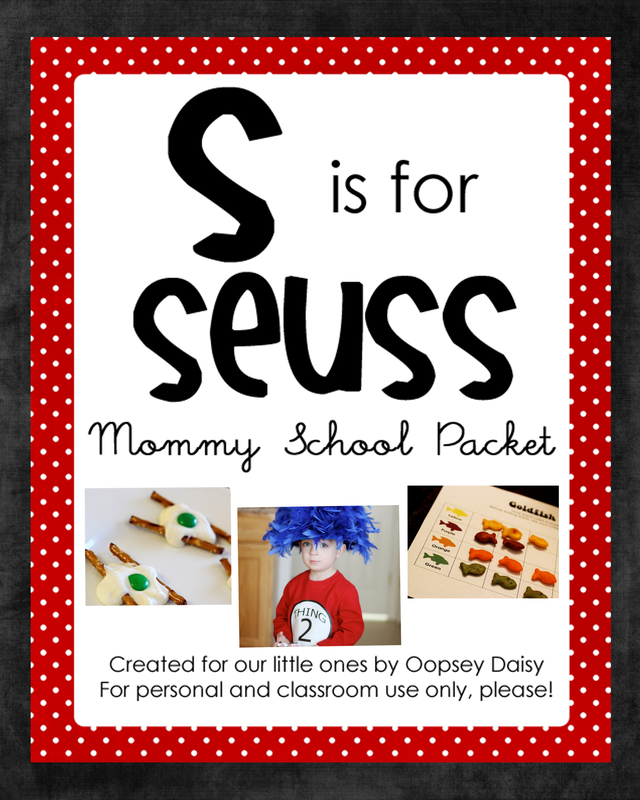 I would love a copy of these for my kinders. The site says it has been removed. Would love it if you would be able to send me one. Thank you in advance. 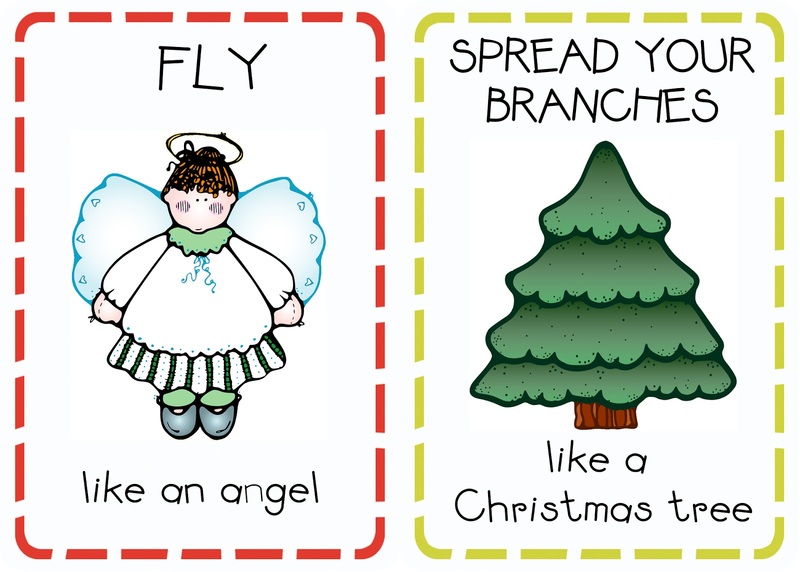 I would love the Christmas action cards for the children I work with at our church. They won’t print. Can you email them to me? Or how do I get them? Thank you!!! These are so cute unfortunately I can’t seem to download them. I love DJ doodlers and have most of their CD’s it s just nice that you are willing to share your work so other’s don’t have to start from scratch to develop this cute activity. Can you possibly email me the file or directions so I can download them for my daughter who teaches young children. I wish that I would have had them when I was teaching. Any chance of an email of these? I never have any fortune with these downloads. I want to use them with my Story Hour.